According to the report published by Bloomberg’s Mark Gurman details Apple’s plans for the future of iOS and iPhones. Gurman reports that Apple will finally implement system-wide dark mode in iOS 13. 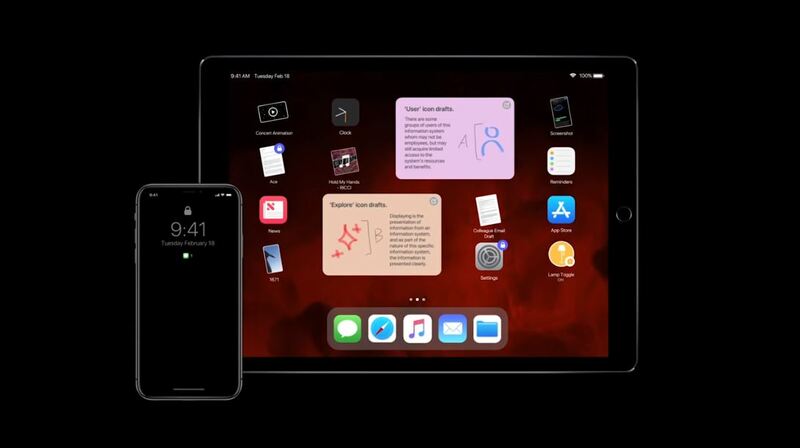 There are many apps in the market have started offering a dark mode, All you have to just hit a toggle and switch system-wide dark mode on will be quite convenient. Not only that, but the system-wide dark mode will also affect the settings. Dark mode makes sense especially on the latest series of iPhones.iPhone X, iPhones have come with OLED displays. As dark mode turns white backgrounds into black, iPhones with OLED displays can expect to see improvement in battery life. The other good thing about Dark mode is that one that every iPhone user will have, irrespective of their display, is easier reading in darker environments. Having white light teasing your eyes when you are in bed can be quite uncomfortable, the dark mode will help make the experience easier on the eyes. According to the report also says that Apple will finally launch its rumored subscription services with iOS 13. It is believed that Apple will be launching two subscription services. One will be geared for magazines while the other will be a streaming service, a direct competitor to Netflix.